Yes I know what day it is! But what’s the true meaning of this widely (but not exclusively) celebrated day? To be honest… that’s not a question for a photography website. But.. If you’re a child, and in a household that’s celebrating, then I daresay that toady has a magic feel to it. We were all children once! But as photographers can we re-capture our own child like magic? As a child, I spent a lot of time in London. As a child, I never missed an opportunity to pester my parents into taking me to the Natural History Museum. Of course… these days my childhood is long since passed. I have my own daughter and I don’t live in the UK any more, so it’s rare that I’m any where near London. But I recently visited my parents, and made some time to take a trip to London, where I couldn’t resist a visit to the museum that so enchanted me as a child, and I’m sure you won’t be shocked to read that I had my X-Pro2 and venerable XF35 at my side! Of course things change… exhibits get modernised – animatronics and interactive displays simply didn’t exist when I was a kid. I’m not it’s saying dumbed down – it’s just a different world. With head full of childhood memories and an afternoon to myself… was I able to see the “magic”? 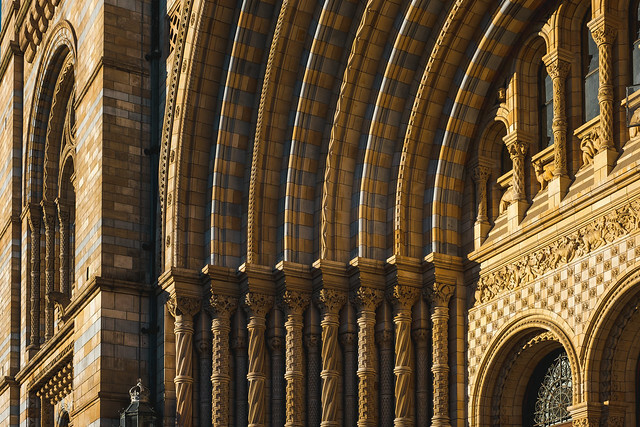 To be honest… I think the magic of the Natural History Museum (NHM), London begins when you first arrive and see the facade of the building. They certainly don’t make them like that any more! Although I have been here since I was a kid, there’s something about walking up those steps and through those arches that brings back my childhood. This time was no different! 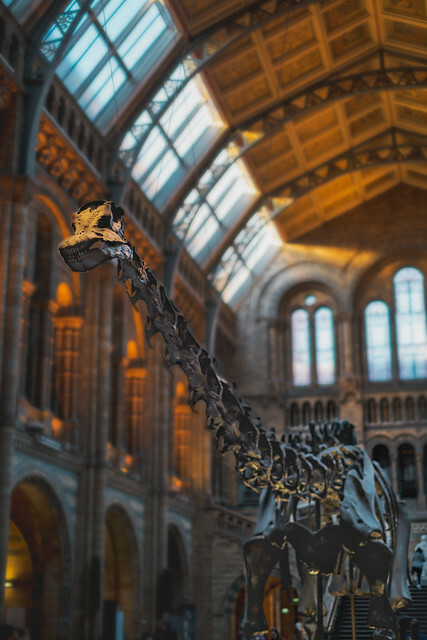 For YEARS, visitors to the NHM have been greeted by the impressive skeleton of Diplodocus, standing just inside the main entrance, this display certainly has a colossal visual impact. However… times change… Soon this display will be replaced by a blue whale, the Diplodocus is being cast in bronze and will stand outside of the museum. How do I know this? One of the museum workers came and started talking to me about my camera and we got chatting! 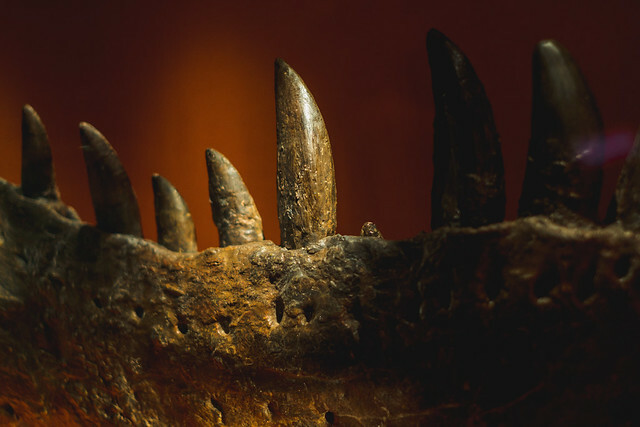 As a child, the dinosaur exhibits were all about the fossils. The fossils are still there of course, but they no longer take centre stage. Because in this age of technical wonders, we’re able to assist the imagination to new heights, how? And I do have to say… If I’d seen this when I was 5 I would of been mightily impressed! This isn’t some static plastic representation – this bad boy moves around, roars and growls. A quick scan of the assembled crowd (many of whom were of course children) demonstrated faces alive with wonderment and excitement. Or to give that a slightly more emotive connotation – face alive with magic. Of course it’s not just our ability to make museum exhibits that’s evolved. Our understanding has too. 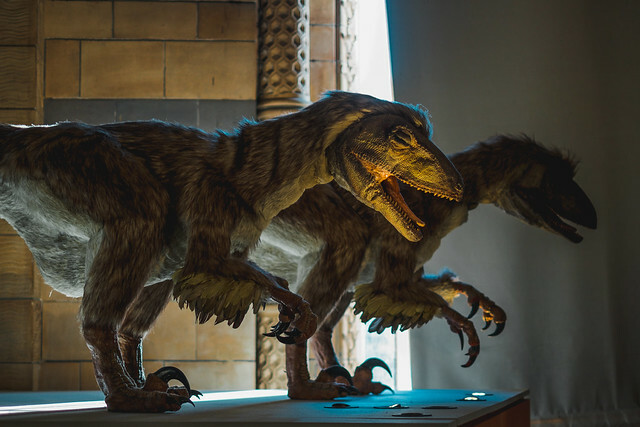 Many scientists now believe (with good reason) that certain dinosaurs had feathers… If you’re my age, then you were probably taught that Dinosaurs were slow, lumbering, cold blooded animals with the intelligence of a kernel of popcorn. It would appear that in actual fact they were very bird like, highly evolved and deserved their millions upon millions of years of reign over the globe. I like how the museum has modernised, how technology has been deployed to add an edgy realism to the world the exhibits are attempting to convey. It brings to life the long since departed world, surely it gets kids thinking and imagining, and I think this is fantastic. You had a mounted fossil, and an information card. You read what was on the card (or got your parents to read it too you!) and the rest was down to your imagination. This world is still available. Walk away from the main dinosaur exhibition hall, down some corridors… and the fossils are still there, still with an info plaque, still able to invoke the magic of the imagination. 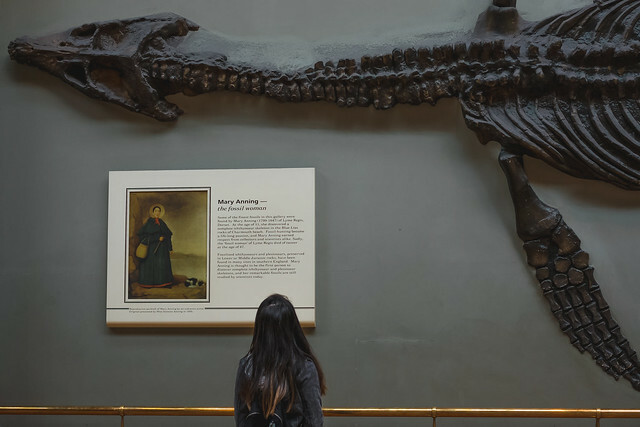 And I think, for me, these exhibits brought back the most childhood memories – standing transfixed in front of a lump of rock that was once a skeleton, trying to visualise what that creature would of truly looked like. Yes, today might be a special day for many (but not all) people – especially children, but magic doesn’t need a day to exist or a festival to flourish, magic exists within our minds. Perhaps a visit to a museum would make a great treat, both for your offspring &/or yourself. As photographers I feel we should very much concern ourselves with the magic of the imagination. Have a magical day folks – whether you celebrate it or not. Great article, terrific images as always Adam and just may have inspired me to visit the Natural History Building here in DC. I remember going as a kid to NHS in New York where I lived, Chicago where I used to visit and they were in credible years ago as I am sure they are today. Thanks for the nudge to go once again. Thank you very much Elliot, I’ve always fancied going to the Houston Museum of Natural Science, I think they have an amazing dinosaur collection from what I’ve seen online! 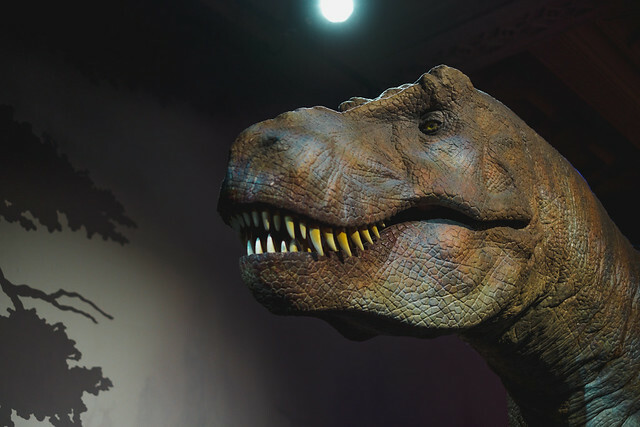 I loved dinosaurs as a kid, and even if one only has a passing interest, they’re worth a deep dive via Wikipedia as it’s amazing much more we know about them now, compared with a few years ago! Which article do you mean Natalie? I’ve written about 65 or 66 of them now!